Volusion is a good place to get started with your online business, considering that it’s one of the largest ecommerce online store builders that allows you to start selling products without being a technical nerd at all. Both Volusion and Woocommerce have their pros and cons. Frustrating thing is that it’s almost impossible to know if the switch from Volusion to WooCommerce is the perfect match. 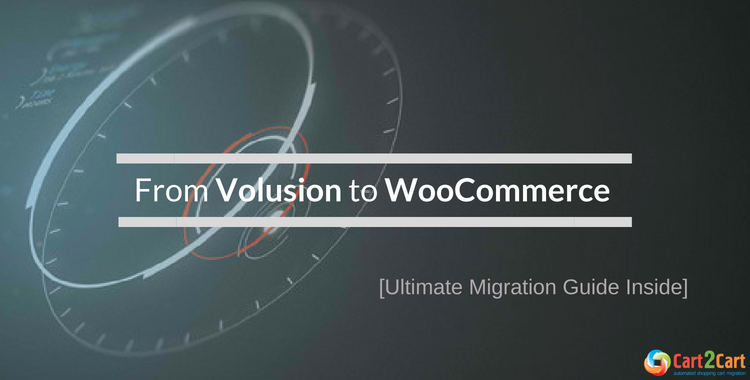 If you`ve already decided to migrate your Volusion data to Woocommerce, essential migration guide will be helpful. Moving shopping cart platforms is not an easy decision—there are many things to consider, and you must make sure that you will be gaining substantial benefits from the process. Look through main Virtuemart and Woocommerce differences before migration to check whether it’s the right decision. Volusion vs Woocommerce: Which is Better? Created in 1999, Volusion. is a complete e-commerce website builder that offers web design, marketing and other business tools and services depending on your needs. More than 180,000. entrepreneurs around the world have built businesses with Volusion. 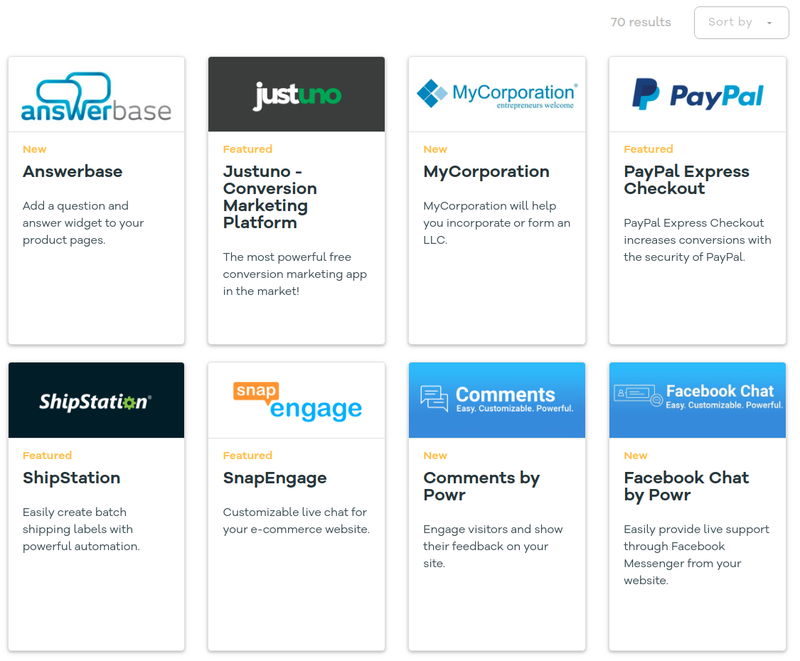 Its offerings include free and paid templates for a variety of industries, web hosting, payment processing, newsletters, order management, customer management, social media management, customer loyalty plans and more. The company is ideal for those who don’t have technical skills or time to do it on their own. WooCommerce. is an open source e-commerce WordPress plugin. It is designed for small to large-sized online merchants using WordPress. Launched in 2011, the plugin quickly became popular because of its simplicity to install and free base product. Now, it’s the most customizable eCommerce platform to run online business. With 48,850,412. downloads, WooCommerce powers over 28% of all online stores. 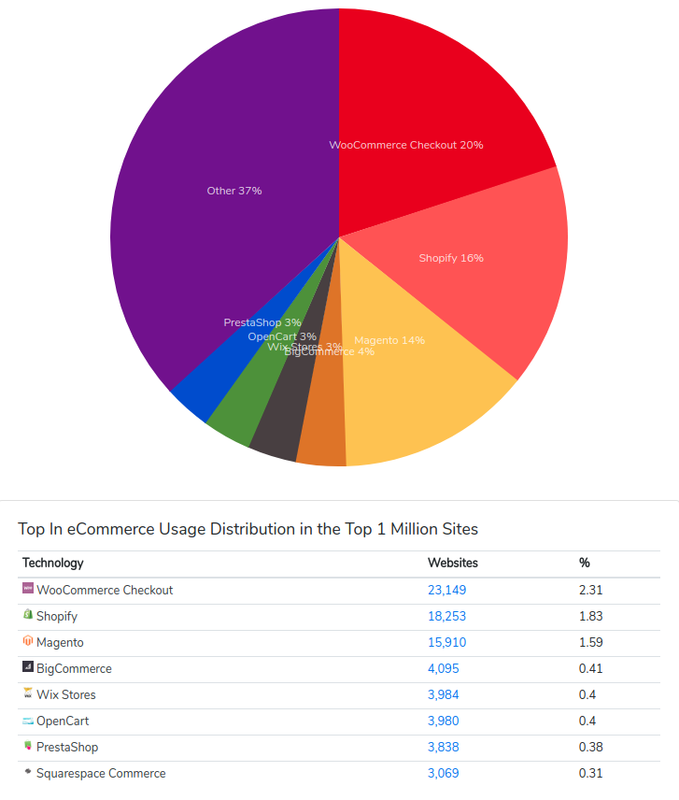 According to BuiltWith statistics, WooCommerce now is the most popular eCommerce platform on the web. It’s coming hotter! Scroll down to find out details about two eCommerce solutions and see which one will boost your ebusiness and make store successful. #Count Your Money, Friend! Let’s Compare PRICES. The first platform is good to create your estore effortlessly, but when it comes to Volusion cost, the whole situation is not positive. The company offers 4 monthly pricing plans. There is a possibility to save 10% per month if you go with a yearly plan. 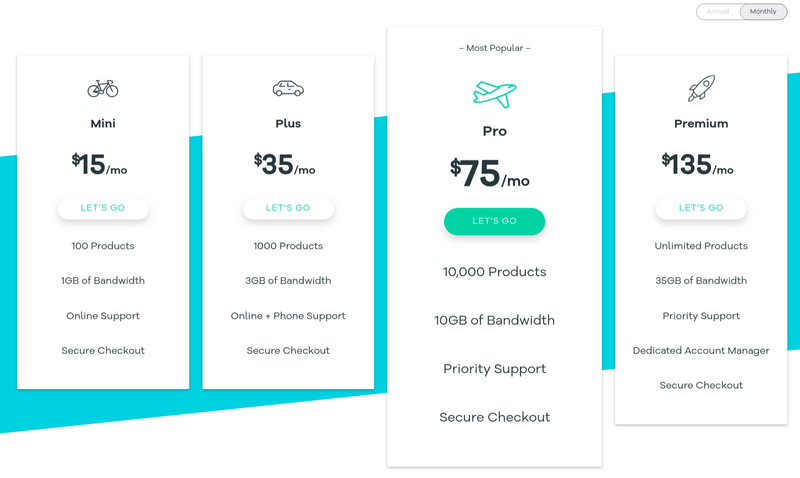 Or you can use 14-day free trial, and gain unlimited storage for each plan, along with no transaction fees, social tools, online support, mobile sites and tax rate calculators. WooCommerce is the WordPress eCommerce plugin and doesn’t cost a penny. You have to download it from the website and install on the WordPress interface to create an online store. It’s open source solution, and if you want to expand your possibilities, the sky’s the limit. Woocommerce offers you mobile responsiveness, 5 pre-installed payment gateways and the ability to integrate with even more of them. You may use many WordPress themes, and implement settings for things like customer relationship management, customs accounts, product variables, shipping calculations, automatic tax calculations, currency controls and more. All without transaction fees. #A Good Dress is the Card of Invitation or DESIGN Matters. When you’re running an online store, one of the main things you want the users to experience is satisfaction with design. Everything should be attractive and up-to-date to make consumers choose YOUR store. Volusion offers 11 free and 35 premium themes. All crafted by professional designers who specialize in ecommerce. Every item is beautiful, fully responsive and designed to sell more. Although many of the paid themes look great, customization is difficult. The complication exists, because all Volusion templates are intended to act as "out of the box" solutions. You’ll be disabled to make many changes. Choose the best from vast variety of Woocommerce themes. Many of them are free and easy to find in WooThemes Store. It’s the official WooCommerce theme built to the same exacting standards as WooCommerce itself. Also there’s an option to choose another from WordPress list. The function is smooth: you have to select suitable theme, perform changes which fit the CSS styles and color them. Plenty of options will make a precise look at company’s brand. All customization may be done by yourself, without help of steps that are provided through a service like Volusion. #Two Sides are Important: FRONTEND AND BACKEND FEATURES. Volusion frontend features are useful, but not the best. Amazon and eBay integrations included, and you receive a newsletter, ratings and review system. You’ll find many built-in frontend features, but Volusion app store is a little weaker. Social media tools are offered, and automatic tax rates make whole process easier. Selling on a mobile app is another valuable feature for this eplatform. In general, you have plenty of fronted features, and it's tough to modify them. Volusion backend offers a dashboard with several steps to walk you through website creation process. Watch videos outline to show customers how to upload logos, change colors and pick a template. Options for marketing, orders, customers, and inventory are included in dashboard tabs. All pages are clean and straight to the point to simplify the adding product process. Use images fields, titles, descriptions, pricing and enjoy the estore. But if you want to change the whole design, you’ll face a set of difficulties with files and code. It’s okay for experienced users, but starters will find the whole process annoying. Woocommerce, both frontend and backend features, are much more advanced. And if you look for speed, quality and simplicity, your choice is Woocommerce. Here all functions depend on templates, extensions, and WooCommerce apps. Download free Frontend Shop Manager and feel yourself like a boss. It’s the ultimate tool for managing WooCommerce shops, right at the frontend, featuring live product editing. 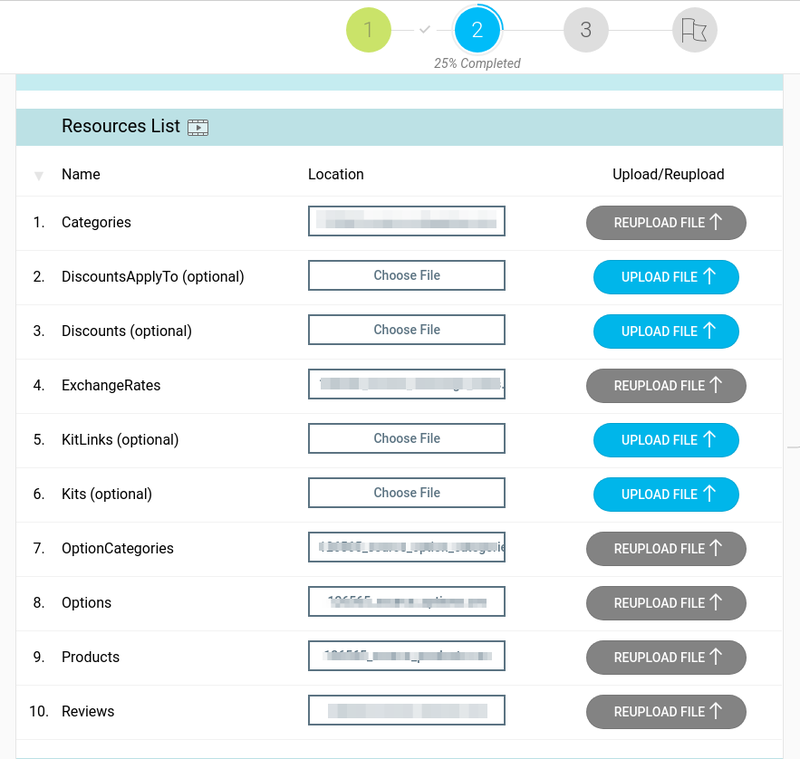 It supports product archives, single products, and the shortcodes! All WordPress templates are supported. Save your time spent on managing your products and make eshop stronger. WooCommerce backend is easy even if you’re a novice and haven’t used WordPress previously. A few tabs such as Reports, Orders, Settings, and Add-ons are added to the toolbar. Products creating is a quick and smooth process. Benefit from categories, tag modules, and settings to manage your inventory and shipping. #It’s Never Late to Be Better: EXTENSIONS. There are both apps and extensions in the Volusion App Store. All are easy to install, besides instruction is provided. You can select a decent app from 70 of them and implement shipping calculators, customer referral programs, email marketing tools, etc. Everything seems okay, except the main issue. Apps activation takes some time, and you have to wait. The number of WooCommerce extensions is about hundreds. Choose the one you like the most and enjoy your excellent estore! In case it’s not enough, find something suitable from reliable WordPress plugins. WooExtensions are practical and straightforward in installation and customization, aiming at meeting all client’s commercial and business strategies, plans and contributing to their transformation into reality. #The Pillar of Strength: SECURITY AND SUPPORT. All processes come through Volusion, so reliable security it’s about this platform. You may sell PCI Certification and 128-bit encryption SSL certificates from the dashboard. There are strong domain name registration area and the CDN to do the work of estore smooth and efficient. Security and hosting are a little bit tricky with WooCommerce. You need to find own host and domain. But, don’t be scared, it’s not difficult. After, install WordPress and the plugin onto that host and enjoy your work. Volusion Support is the strong side of the platform. The company offers a knowledge base, videos, and a contact area. If the problem is individual, you can use 24/7 live chat, phone, and email. There are three ways in which Woocommerce supports clients. It may be performed through the My Account tab in the WordPress dashboard. If you have a general question about the site or products, chances are you'll find the answer in the documentation. You have a pre-sales question and that's not in the FAQs? Fill out the form below and support team will get back to you. Also, you can use forums, blogs and knowledge bases. Everything is for client’s comfort and safety. 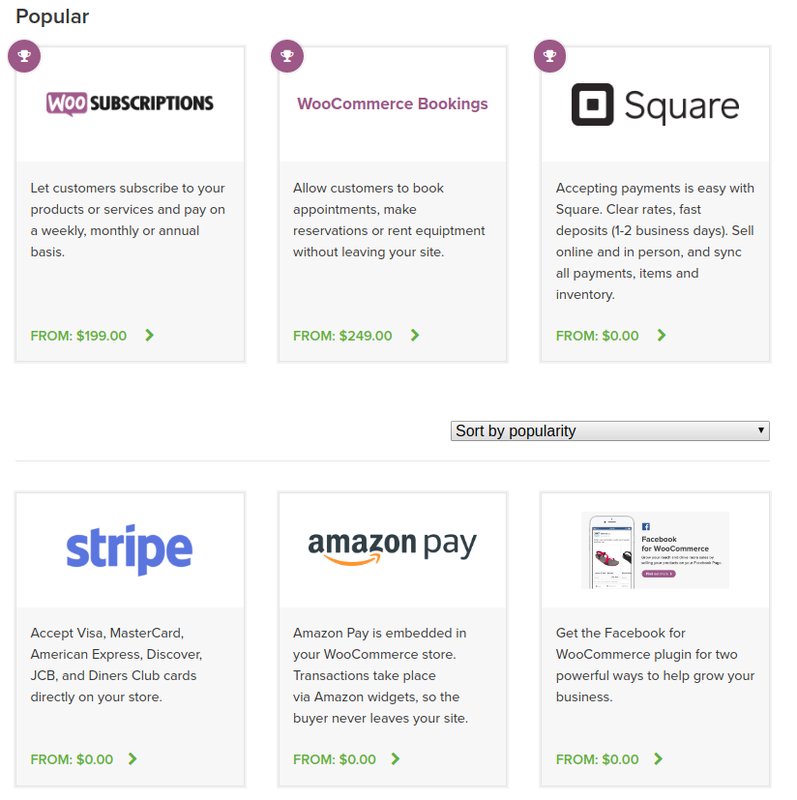 After brief review, it’s obvious, that WooCommerce is a decent esolution. It’s free, popular and secure. It includes detailed order tracking and customer engagement tools, which allow your clients to look at their past orders and get updates of their delivery statuses. It also comes with different shipping options and tax settings. There are plenty of benefits of using WooCommerce, and you should think about using it for your online store. Now, need practical ways to start using Woocommerce. 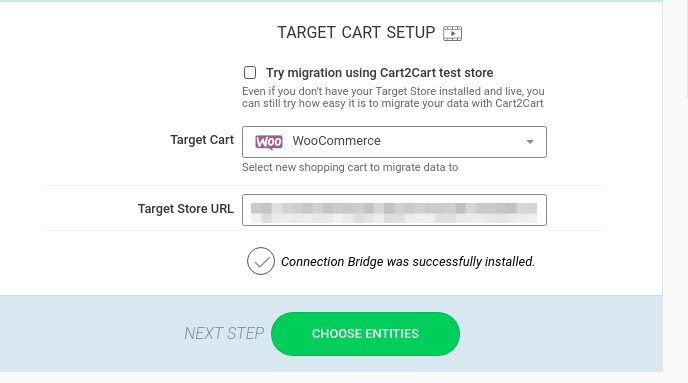 If you`re a Volusion`s client, here is a detailed guide on how to migrate automatically to WooCommerce in a couple of clicks with Cart2Cart. Step 1. 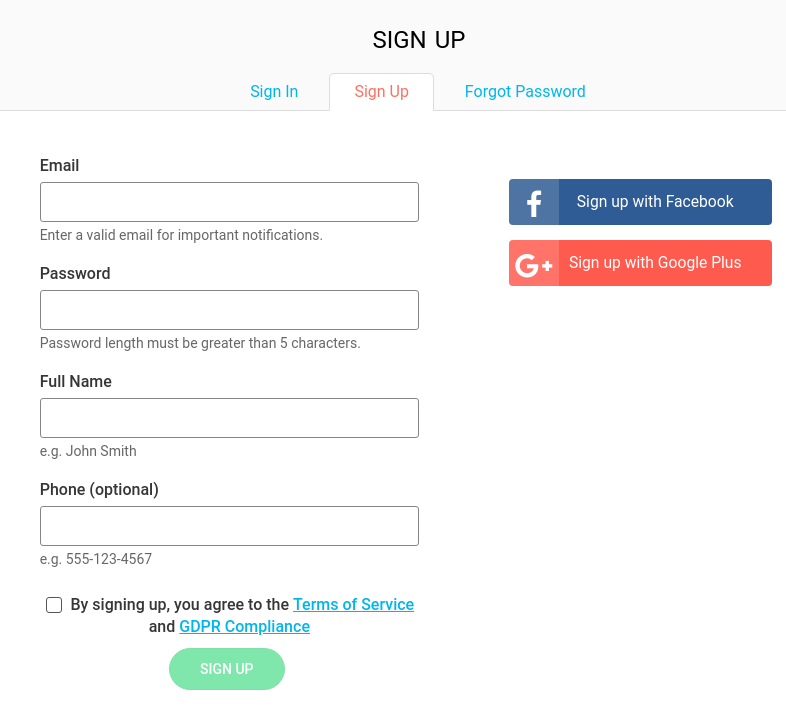 Register Your Cart2Cart Account. Step 2. Choose Your Source Cart. Pick Volusion from the drop-down list and insert your current shop’s URL from which the CSV will be exported. Otherwise, you can type any URL, e.g. https://google.com - any will do to proceed. Step 3. Choose Your Target Cart. Select WooCommerce as a Target Cart and paste its URL into a corresponding field. Next, download Connection Bridge, unpack it from the archive and shift bridge to the root directory. It’s the simple procedure. Detailed instruction provided. With any questions on Bridge installation look through our FAQ section or reach out to Support Manager. Available 24/7 via live chat, email, and phone call. Select entities you want to migrate to Woocommerce. 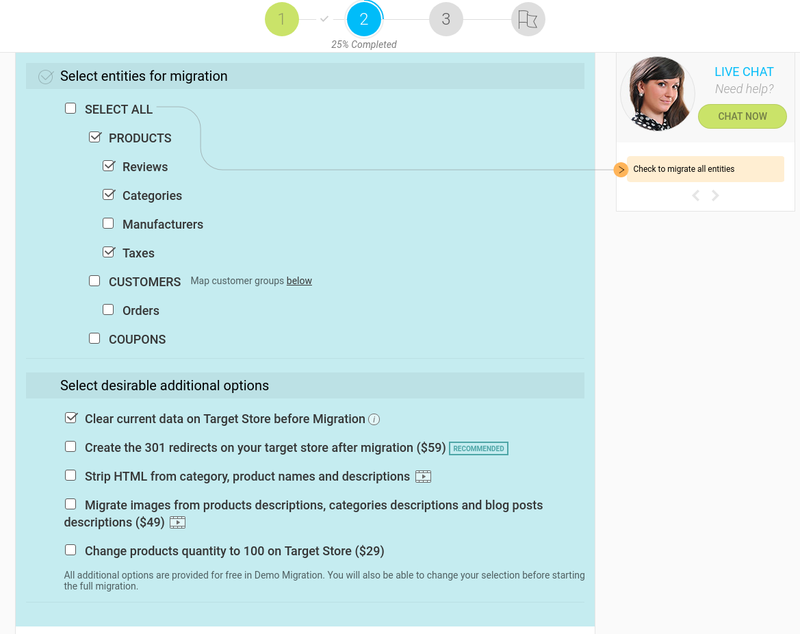 Migrate products, categories, manufacturers, customers or click Check all box. Cart2Cart also offers additional options which will enhance the functionality of automated shopping cart migration. For example, if you already have any data in the new eshop, you may clear it to save the right order. Or skip product thumbnail images migration to avoid duplication in the new store. Check the whole list of Volusion to Woocommerce migration data as well as additional options here. Migration price depends on those entities you actually move. You can estimate the approximate cost for the Volusion import using Cart2Cart Online Estimator. Step 5. Upload Your CSV File. Click Choose File and select the appropriate one. Then, upload Volusion CSV files with data you want to transfer to Woocommerce. Some points are optional if you don’t have one - it’s not a problem. Step 6. 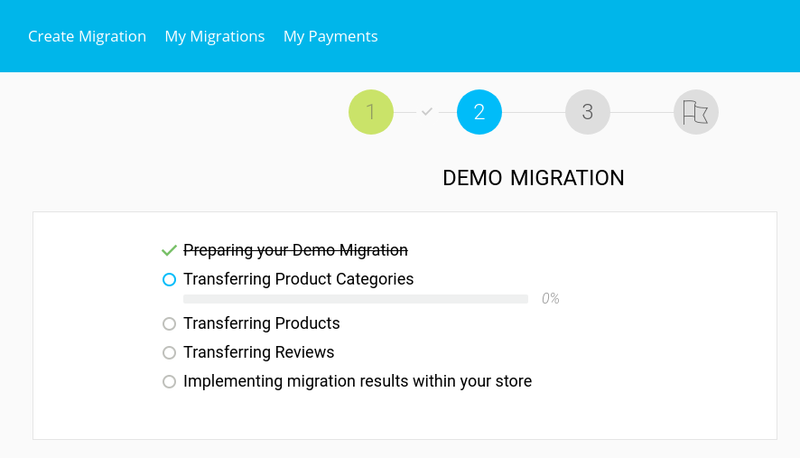 Start Free Demo Migration. 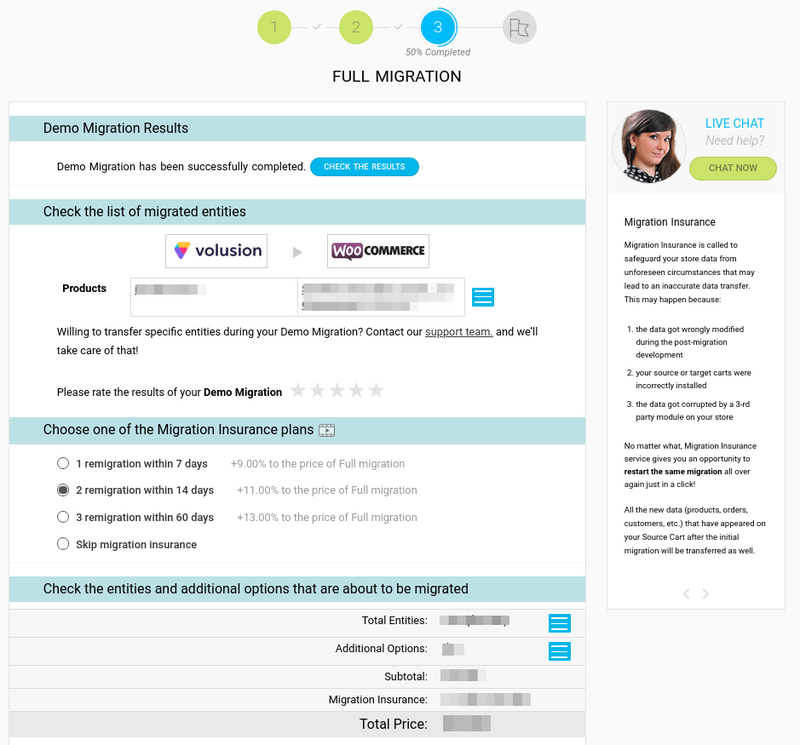 Now you’re ready to run Demo Volusion Migration. Just press the button, and that’s all. Within half an hour you’ll get email notification that a limited amount of entities is moved to your Woo store. Check results, contact Support Manager to discover any peculiarities and proceed with Full Migration. We’ve considered the main features of both platforms, and reasons for switching are obvious. Go through your preferences, think what factors are the most important in your situation and decide. Cart2Cart Team is always ready to help you smoothly transfer all entities, and you know how easy it all works via our service. Volusion is very popular for online sellers. It’s simple to use and highly secure. It’s a valuable solution to start ebusiness and promote your brand. But there are downsides too, and they are big enough to move to the more robust platform. Here Woocommerce is a wise choice for transferring. A lot of current Woocommerce users started their business on other platforms, but real success came with Woocommerce. Try Free Demo Migration to transfer the limited amount of data and evaluate the quality of the service. You’ll feel the difference with WooCommerce store and be ready for Full migration. With Cart2Cart it’s easy and speedily!